“Potential physical, sensory, and cognitive impairments associated with aging may make oral health self-care and patient education/communications challenging.” states The American Dental Association. If that’s the case, you’re finding out, rather quickly we can assume, that it could be close to impossible to get your aging loved one to the dentist. If you’re finding this to be true, you may have searched for “bedbound dentistry in NYC”. What, or WHO, rather, you’ll find is Dr. Alisa Kauffman of Geriatric House Call Dentistry. She is well versed in homebound dentistry and comes to your loved one equipped with compassion and extensive training. It can be exhausting trying to take care of vulnerable, aging loved ones, especially if they’re confined to a bed, unable to help themselves. Knowing there exists such a thing as bedbound dentistry, NYC residents can breathe a little easier. And, finding the best dentist that makes house calls in NYC to the geriatric community can and does relieve a lot of stress for the caregivers who want nothing but the best in geriatric in-home dental care for their loved one. Here are 5 reasons why the aging community of New York City needs a dentist like Dr. Kauffman. They may be unable to see a dentist for a regular checkup or teeth cleaning in a long time due to immobility. 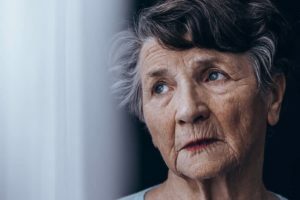 A Dementia patient may be unable to be treated for bothersome teeth or other issues due to the distrust of the dentist resulting in lack of cooperation. A patient’s dentures are too loose causing difficulties for the patient to eat or speak. With as many issues and hardships as the aging population faces, getting adequate geriatric dental care shouldn’t be one of them. That’s why Dr. Kauffman makes house call dentistry her focus. She comes to them equipped with a plan and an attitude and disarming demeanor that can accomplish anything! If you have been struggling with what to do to get the proper care for your loved one, give Dr. Alisa Kauffman a call at (917) 826-6278 to talk through any concerns you may have. Her heart’s desire and life’s mission is to give your loved one the respect and care they deserve.